The UFC is attacking Wednesday’s premiere of “The Ultimate Fighter 13” as if this were fight week. 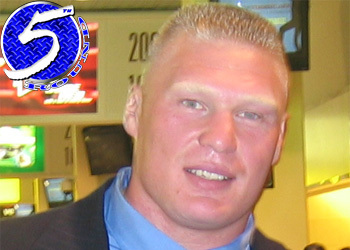 Brock Lesnar’s latest stop on his promotional tour took him to the campus of ESPN. The former heavyweight champ discussed a barrage of topics on Tuesday morning, including his time on TUF, a potential return to professional wrestling, as well as Junior dos Santos. Once this season’s welterweight tournament concludes, Lesnar and dos Santos will battle at UFC 131 on June 11th to determine the division’s top contender. The winner advances to challenge Cain Velasquez for his freshly minted heavyweight crown.